A lifetime of leadership and service to promote the well-being of others. 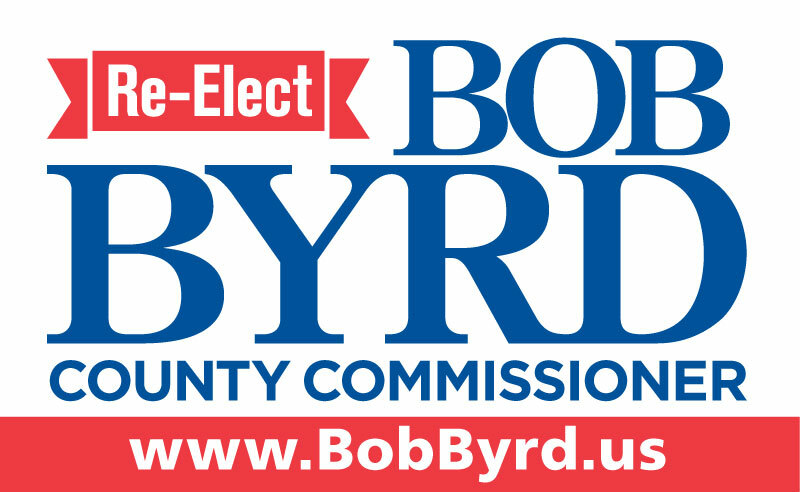 In addition, Bob has served on the Alamance Eldercare and the Burlington-Alamance Sister Cities Boards of Directors and has regularly attended Community Council meetings, Working Women Wednesdays luncheons of the Women’s Resource Center (of which he is a member), Alamance-Burlington School System functions, Alamance Racial Equity Alliance trainings and functions, and many other community forums, meetings, and events to keep current on local issues and needs. 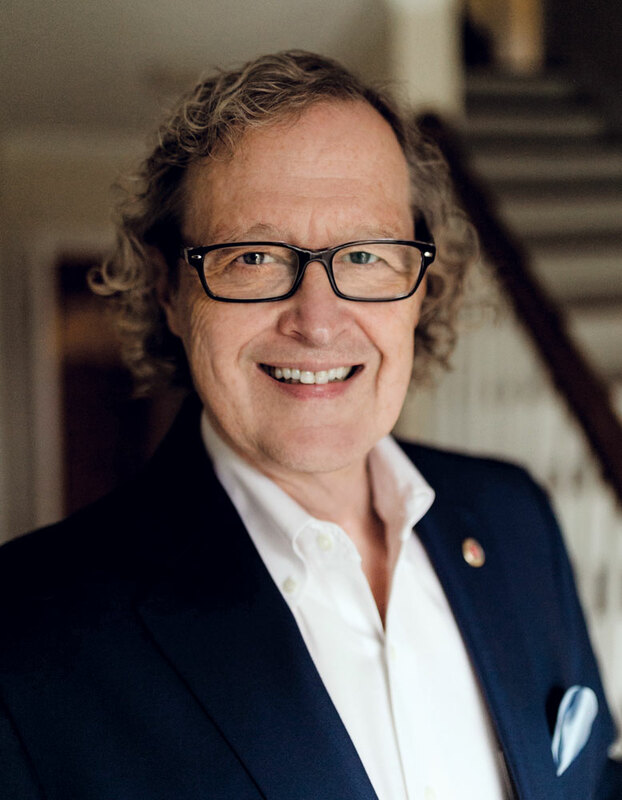 Bob was a member of the senior executive team for over 35 years with extensive experience in strategic planning, budgeting, management, development of new initiatives, and collaboration with others. For the past several years in his position as Senior Vice President, Bob was responsible for strategic planning, physician recruitment, physician network development, and community health initiatives. Prior responsibilities included operational oversight of most hospital departments, and he served as the nursing home administrator of the Skilled Nursing Division of Memorial Hospital of Alamance County for many years. A Period of Growth and Development. 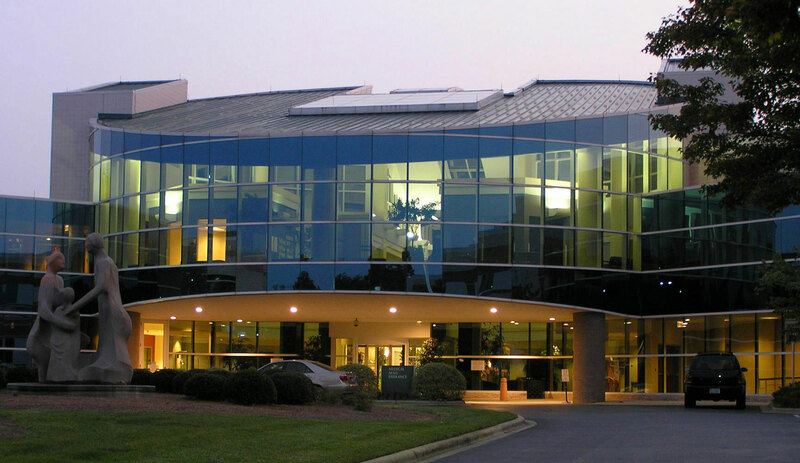 During Bob’s tenure, Alamance Regional grew from two small local community hospitals to a large comprehensive medical center with state of the art technology. There was the merger of the two predecessor hospitals, Memorial Hospital of Alamance County and Alamance County Hospital, which was the first merger of two general hospitals in North Carolina. 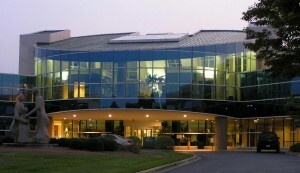 This was followed by the opening of the new Alamance Regional Medical Center, the implementation of the latest technological advancements in healthcare, the creation of The Village At Brookwood retirement community and the new Edgewood Place skilled nursing facility, the establishment of the Mebane Medical Park and the Mebane Outpatient Center, the building of a new Cancer Center, Emergency Department, and new Operating Rooms and related spaces, the creation of ARMC Physicians Care, Inc. (an employed physician network), the merger with Cone Health in Greensboro, and many other improvements to the organization and the services it has provided to its patients and clients. Bob grew up as the son of a small businessman who was a tool and die maker by trade, and owned a tool and die company and an injection molding plastics company. 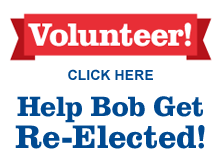 There, working part time during high school and college, Bob was a stock boy, assembly line worker, and draftsman. “Working for my dad gave me a great appreciation of the challenges small business leaders face, and how hard it is to work on the front lines in an industrial setting,” Bob says. 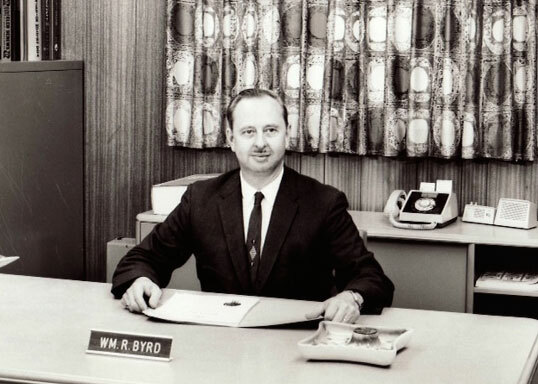 “I was so proud of my dad, who received Pennsylvania’s first Small Businessman of the Year Award in 1965 from Pennsylvania’s Governor.” Bob says that his dad was known for his work ethic and innovation, attributes that Bob adopted for his own. 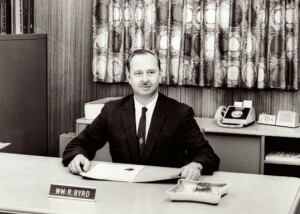 His dad also set the stage for Bob’s civic and professional service as he also was actively engaged in those activities. After college, Bob served as a part time substitute teacher in public schools for a year, and then discovered the hospital world when he took a job as an on-the-job trainee in the field of respiratory therapy. He was a respiratory therapist for five years, both as a staff therapist and as a manager. Bob is a product of public education from elementary school through college, and took additional courses at a public community college. 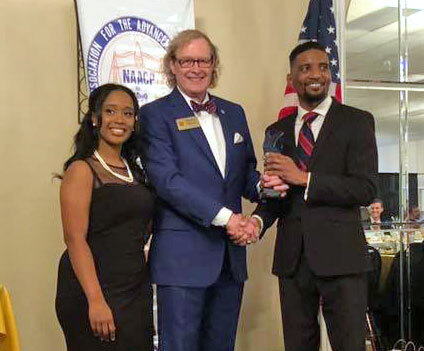 Receiving the Humanitarian Award from the Alamance County Chapter of NAACP. Pictured here is the Youth Member Brianti Foster and Alamance County Chapter President Barrett Brown. Bob and his wife, Barbara Bennett Byrd, have been happily married for 33 years. Barbara was born and raised in Alamance County and graduated from Graham High School. She is a graduate of the University of North Carolina at Greensboro with a Bachelor of Music degree. She has taught piano privately to hundreds of students since graduation, and she is the organist and choir director at Graham Presbyterian Church, where she has served since 1992. For fifteen years earlier, she was the organist at St. Mark’s Church, where she and Bob were married. Bob and Barbara have no children. They have been homeowners in Burlington since they were married. 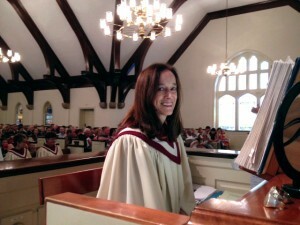 Barbara Byrd is Organist and Choir Director at Graham Presbyterian Church. Bob and Barbara share their love of music. 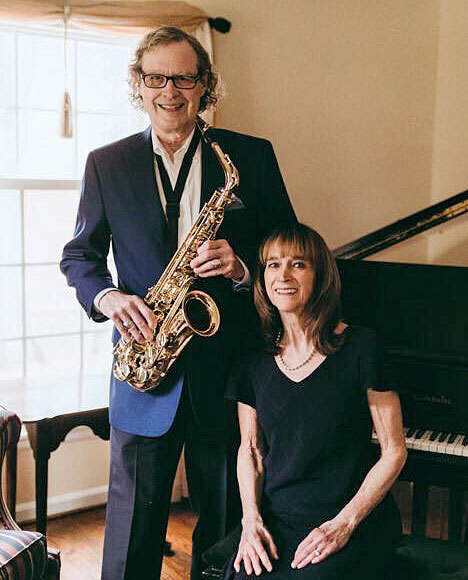 They have performed as a duo (sax and keyboard) for many church services, recitals, weddings, banquets, and receptions. They initially met in the Alamance Chorale, where Barbara was accompanist and Bob sang in the bass section. They enjoy listening to live jazz, especially big bands, symphony orchestras, and the Choral Society of Durham, where Barbara’s brother, John, sings tenor. 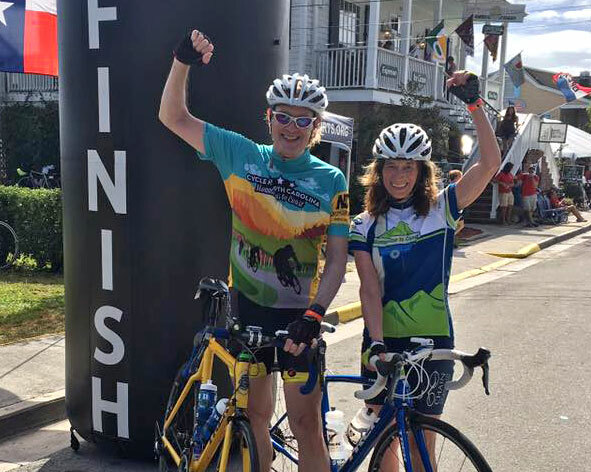 Bob and Barbara at the finish line of the 2017 Mountains to the Coast Ride in Swansboro, NC. Active road cyclists, Bob and Barbara are members of the Burlington Velo Club and the Alamance Bicycle Club. In addition to participating in area rides and charity cycling events, they have proudly ridden across the state fourteen (14) times as part of Cycle North Carolina’s Mountains to the Coast ride, a 7-day trek that is always held during the first week of October. A different route each year, the fall 2017 ride took them 472 miles from West Jefferson to Swansboro. Being physically fit and healthy is important to both of them. 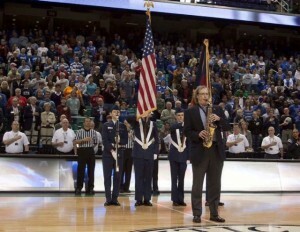 Bob Byrd performing the National Anthem at the Greensboro Coliseum for the ACC Women’s Basketball Tournament. As a semi-professional saxophonist (along with doubling on flute and clarinet), Bob has led an active musical life. He studied saxophone privately with Craig Whittaker of UNCG and flute with Linda Cykert of Elon University, each for nearly two years. In addition to his involvement with the Alamance Jazz Band and performing with Barbara, Bob has had the privilege of performing as a single-engagement sideman throughout North Carolina with such bands as the Jimmy Dorsey Orchestra, the Dorsey Brothers Orchestra, the Guy Lombardo Orchestra, the Atlantic Jazz Orchestra, Reflections, the NC Revelers Jazz Orchestra, the Likewise Swing Band, the Holzhackern Tyrolean Band (“We wear lederhosen in this one,” Bob says with a smile. ), and several other regionally known big bands, jazz combos and orchestras. 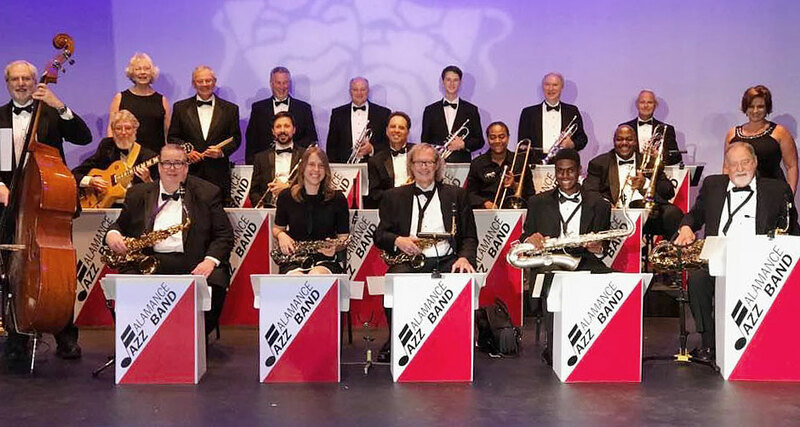 With the US Airways Jazz Orchestra, Bob performed in Germany, Holland, Bermuda, and throughout the United States. 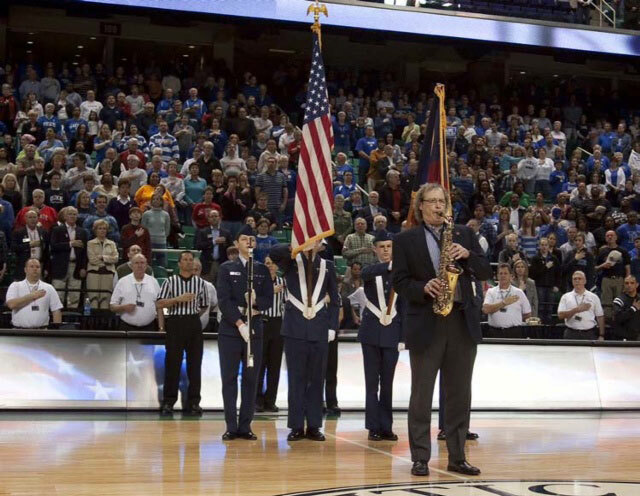 “But among my favorite musical experiences was playing in the pit orchestras of local musical theater productions, especially in area high schools along side of budding student musicians,” Bob says.